It has been a fantastic start to the creation of ‘Into The Water’. Last week, we delivered a series of craft workshops to small pockets of women who are originally from or have settled in Birmingham. 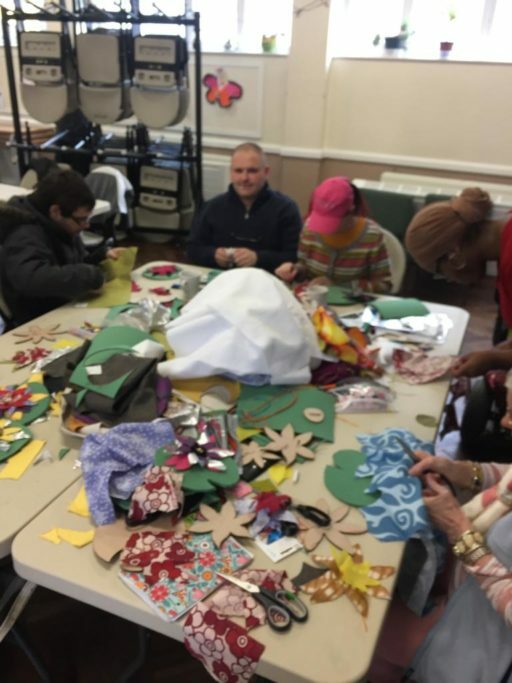 I attended workshops at Balsall Heath Library, Clifton Road Mosque, Stanhope Wellbeing Hub and Daily Thread @ The Old Print Works.Our aim was to create stylish, waterproof lily pads for our final performance. 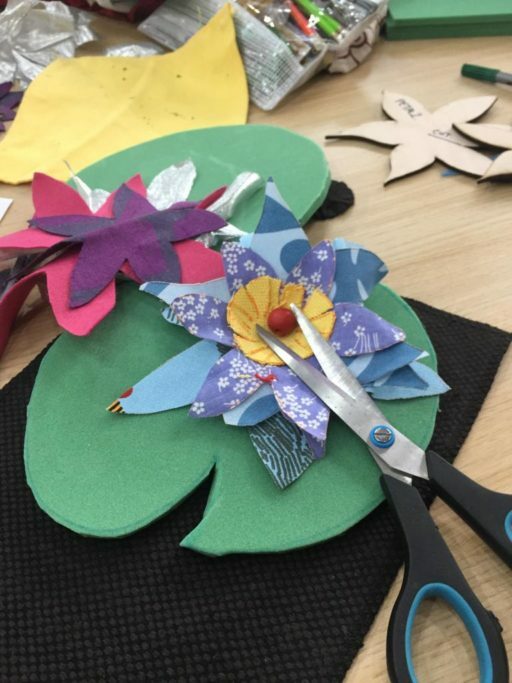 This involved a lot of sewing, cutting and a flare of originality, which all of our craft session members brought in abundance. In my role as a support artist, I have been offering assistance in the delivery of the workshops. As well as making lily pads, we also sparked conversations about women’s relationship with swimming and how important water is in their lives. Some recalled memories of swimming as a child; triggering tales of competitions, summer holidays and their tuckshop treats afterwards. My favourite stories were the ones that unearthed a deeper understanding of femininity, migration and a connection to faith and spirituality. Upon reflection, it was interesting to see how water acts as an equaliser for humanity. We interviewed women of different nationalities, ages, sizes and abilities but in the water, everything becomes neutral. Weight is non-existent. Those who suffer with movement are able to flourish. It is a healing element that absorbs a great deal of our prejudices and negative projections. It’s beautiful to see women from my home city united under one element. You can read the part 2 of Ashlee’s blog here. For more information about Into The Water including how you can get involved click here.